Beautiful garnishing cake with jasmine flowers (Jasminum) and berry filling. 4K closeup rotation on black background. 4k00:25Cake decorated by jasmine flowers (Jasminum) and berry filling. 4K closeup rotation on black background. 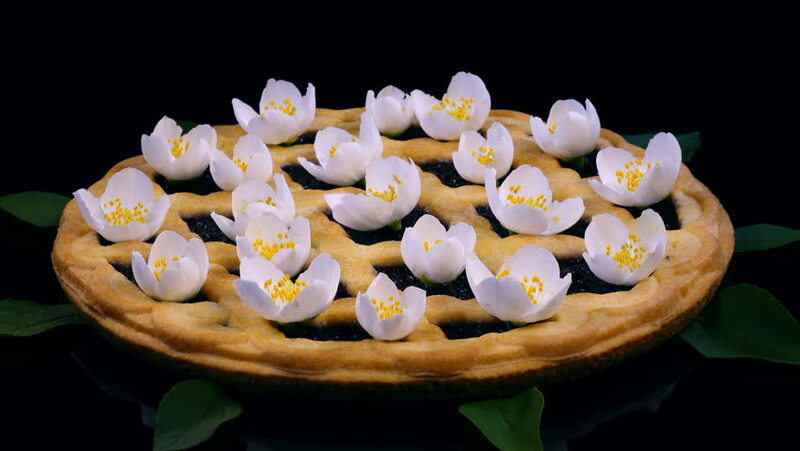 4k00:13Beautiful garnishing tart with jasmine flowers and leaves (Jasminum) and berry filling on black background. Closeup rotation in 4K. Top view.